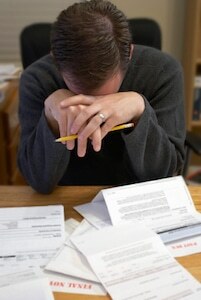 Filing a bankruptcy provides immediate relief to someone who is overwhelmed by debt. As soon as a bankruptcy is filed, it is illegal for creditors to even ask for a payment. All lawsuits, garnishments, foreclosures, phone calls are prohibited – even just sending a statement is illegal. The idea of bankruptcy is to give someone who has gotten in over their head with bills a financial fresh start. It is better to allow someone who suffered an unpredictable misfortune, or simply miscalculated, a way out of financial disaster and a way forward to a life where they can continue to be productive, have dignity and take care of themselves and their family. Just knowing about your rights in bankruptcy can help improve cash flow as you get ready to file your case. Knowing that you can eliminate a lot of your debt arms you with the knowledge to decide what bills to pay for now. Bankruptcy also provides a civilized way for creditors to deal with the fact that a debtor is not able to pay their debts. If a debtor has some way of paying back at least part of their debts, then bankruptcy laws determine how much is fair. Bankruptcy laws divide the money up fairly among creditors and leave the debtor enough to live a productive and dignified life. Some property can be taken in bankruptcy but the laws define what property is exempt from being taken to give the debtor an effective fresh start. Bankruptcy provides standards for income and expenses to determine whether a debtor is making their best efforts at payment a creditors back. The bankruptcy laws also sets out priorities for various kinds of debt to determine which creditors get paid first, if creditors get paid anything. The law also defines what kind of debt can not be discharged, or cancelled, in a bankruptcy at all. Examples of debt that can not be discharged are student loans, recent back taxes, back child support or spousal maintenance and government fines. Chapter 7 bankruptcy is for people who do not have the income to pay at least some of their unsecured debt. Chapter 7 does allow a debtor to continue paying secured debt, such as a mortgage or a car loan, while totally wiping out unsecured debt, such as credit cards of medical debt. Unsecured debt is debt that is not backed up by collateral. If you make over the median income for your household size, you have to go through a means test to determine whether you are abusing the bankruptcy system by filing a Chapter 7. The means test takes an average of your last six months income and deducts secured debt payments, certain actual expenses such as taxes, health insurance or day care and certain expenses with limits set by the IRS regulations, such as food, clothes, rent and transportation. If the test shows money left over for unsecured debt, you may have to file a Chapter 13. Otherwise, the only way unsecured creditors get paid in a Chapter 7 is by liquidating assets. Most people who file a Chapter 7 do not have assets that are not covered by exemptions. A Chapter 13 bankruptcy is a repayment plan that lasts three to five years. If you go through the means test and it shows you have the ability to pay some unsecured debt, the Chapter 13 plan consolidates a payment for that unsecured debt with payments on secured debt, such as back mortgage payments or car loans and priority debt like back taxes. The percentage the unsecured creditors receives is based on how much you can afford. Sometimes you may want to file a Chapter 13 even if you pass the means test, such as when you are behind on a mortgage or owe the IRS a lot of back taxes, to name a couple examples. You can also pay car loans in a Chapter 13 plan. A car loan is spread out over five years and the interest can be reduced, which lowers the monthly payment in most cases. If you purchased your car over two and a half years ago, you can pay the value of the car through the plan and pay what’s left of the loan as unsecured debt. It is possible to pay as little as 0% to your unsecured creditors if that is what the means test shows or you can convince the court that you can not afford more. In both Chapter 7 and Chapter 13, if the means test shows that you have the ability to pay creditors, you may be able to dispute that by showing that there are special circumstances in your case. Examples of special circumstances would be having an additional child or a sudden drop in income. Because the means test only looks at income going back six months and tries to predict the ability to pay over the next three to five years, it is imperfect to say the least. A good attorney can convince the bankruptcy court that the means test should not apply in cases where that is genuinely the case. Overall, bankruptcy is designed to be fair to you and your creditors. You can keep the property you truly need for a fresh start through exemptions. The means test is complicated and, though it is important, can often just be a jumping off point that an experienced attorney can modify with skillful arguments.